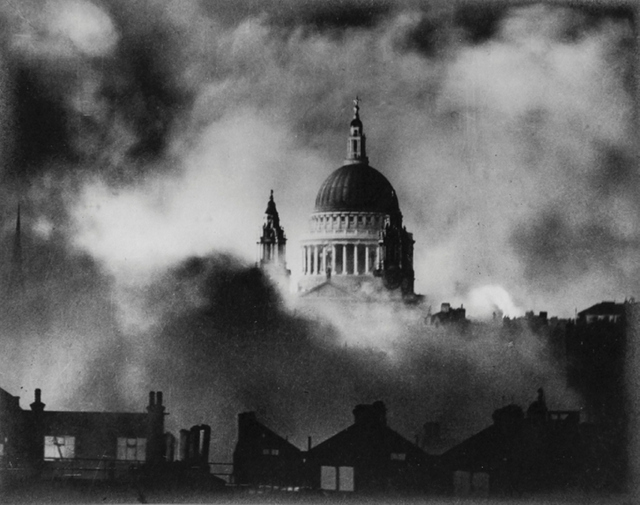 St. Paul's seems to float as it survives a bombing raid during the Blitz in 1940. Photo: Herbert Mason. 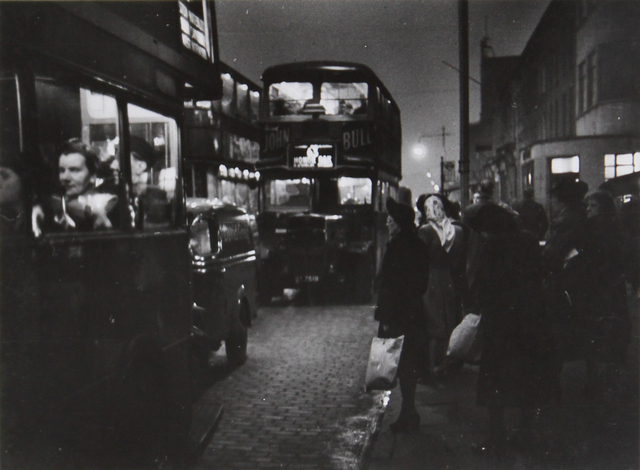 Buses travelling along London Road in Elephant and Castle, 1948. Photo: Bert Hardy. 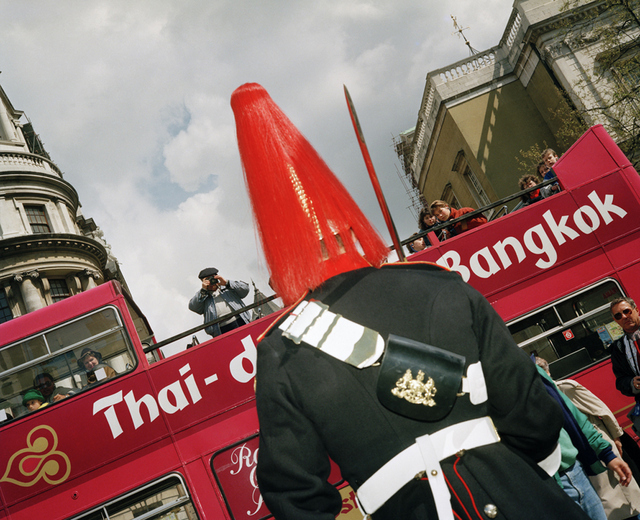 A more recent addition as a tourist snaps one of the soldiers on Horse Guards Parade, 1993. Photo: Paul Reas. 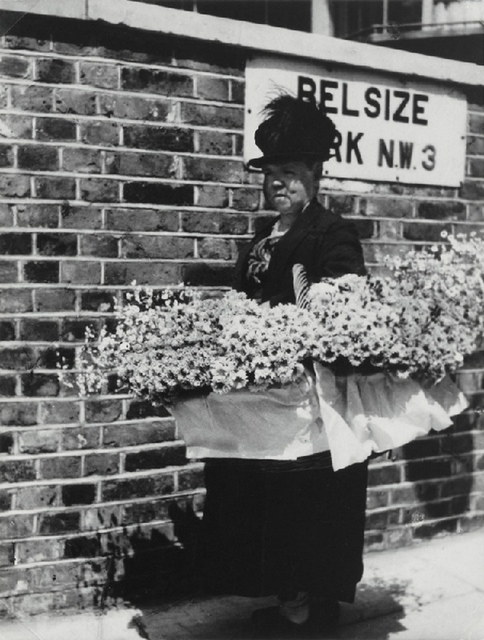 A flower seller outside Belsize Park in 1931. Photo: Bill Brandt. A rather underdeveloped Wandsworth roundabout in 1977. 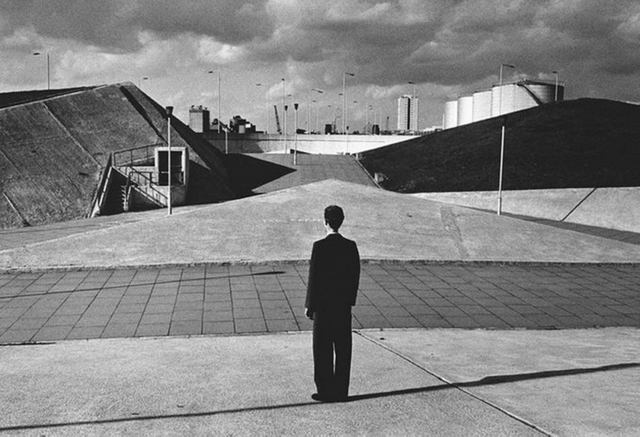 Photo: Brian Griffin. 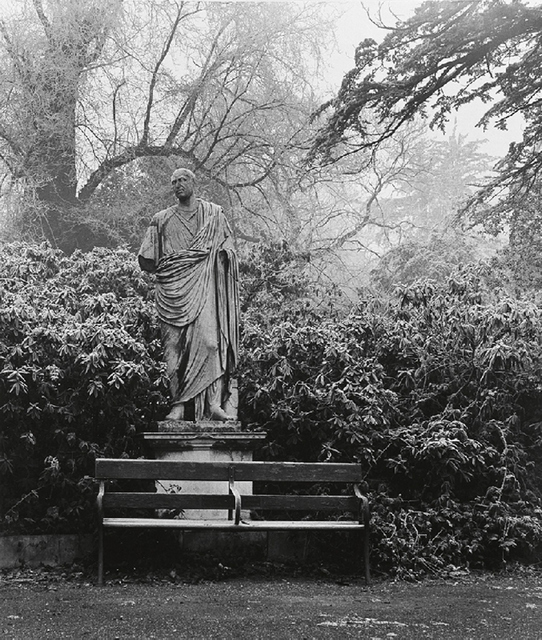 The grounds of Chiswick House Gardens in 1945. Photo: Bill Brandt. Photographs capture everything, from historically significant events down to the everyday, and now that all of us have a decent camera on our smartphones it is certain that it will be the medium of choice to remember the age we live in. But wouldn't it be wonderful if there was an archive online of historic photographs so we could revisit days gone by? Well, now there is, thanks to North Londoners Claire and James Hyman. They have put together a website featuring their collection of just under 3,000 artworks, consisting predominantly of photographs. It's been set up as an educational resource and a tool for promoting British photography; we've picked out some of the best images relating to London to feature in this article. Anyone can go to the website and have a browse through a fantastic collection of photographs at their leisure. The website also acts as a portal linking through to other websites where more photographs may be viewed online. These photographs and many more can be viewed at www.britishphotography.org. All images in this article are courtesy of the The Hyman Collection, London.